The Greek festivals held in Los Angeles and the greater Southern California region have developed quite a following. Frequented by Greek Americans, foodies, and those who enjoy the Mediterranean vibe, these cultural experiences usually involve dancing, music, and traditional Greek fare. Most Greek Orthodox churches host these extravaganzas as a benefit for the church and many events offer free admission, complete with inexpensive eats and artisanal offerings. Dancing (and eating) is a big part of Greek culture. So at the festivals, don't be afraid to jump on the dance floor with partygoers and learn as you go. Although some Greek dances incorporate complex moves, many offer repeated steps that follow easily-recognizable rules like following the leader (who sometimes initiates steps with hand gestures). When you go to join in, always situate yourself at the back of the line, so you don't overtake the leader. And once the dancing is done, don't forgo the traditional Greek food, like stuffed grape leaves (dolmas), gyros, and baklava. Typically held in February, the Palm Desert Greek Festival takes place at the St. George Greek Orthodox Church of the Desert. The event features live Greek Bouzouki music and dancing, authentic foods and pastries, and Greek beer, ouzo, Metaxa brandy, and coffee. While there, kids can enjoy the Hercules Kids Zone and shoppers can browse the Souvenir Agora (market), complete with unique Mediterranean vendors, a Greek grocery store, a Greek bookstore, and Greek novelty shops. Each May, the OC Greek Festival returns to Anaheim's St. John the Baptist Church. The event features daily church tours of the oldest Byzantine Church in Orange County, live bands and Greek folk dancing performances, and a Sports Taverna (bar) to catch big games while enjoying authentic Greek drinks and snacks. This festival prides itself on its plethora of Greek delicacies offered daily alongside timed cooking demonstrations. Additionally, carnival rides and games will keep the little ones occupied. At San Fernando Valley’s Greek festival in Northridge, over 500 volunteers gather to perform live music and dancing, make homemade pastries and gourmet Greek foods, and sell authentic Greek arts and crafts. Held in May at the St. Nicholas Greek Orthodox Church, the event boasts several exhibitions and cooking demonstrations featuring favorite dishes like Spanakopita, a spinach and cheese pastry, and Souvlaki, a marinated beef brochette. For just a few dollars, you can enjoy two full days of eating traditional Greek cuisine at the Downey Greek Food Festival. This June event also features cooking demonstrations, live music, and traditional dancing. Learn how to make a classic gyro, sample some of the best Greek frappes, or try out an old-timer's favorite—souvlakia, pork on a stick. The festivities take place at the St. George Greek Orthodox Church in Downey. Downtown San Diego hosts a premier Greek festival each June at the Spyridon Greek Orthodox Church. Along with Greek food and drink, festivities include performances from popular Greek musicians on both the main stage and at the Oracle Wine Bar. Greek dance performances, a Kid's Fun Zone, and tours of the downtown church led by Father Andrew top off the event. The Prophet Elias Greek Orthodox Church in San Bernardino presents a Greek festival "on the hill" each June. Featuring authentic Greek food, live music, homemade pastries, and the famed Hangar 24 Tavern, this annual event brings thousands of cultural enthusiasts to the Northern Valley every summer. Browse dozens of booths at the Greek Village where you can purchase fine art, delicious foods, and adult beverages in traditional Greek style. Also in June, the Ventura County Greek Festival takes place at Camarillo's Freedom Park and begins with an Agiasmos (holy water blessing) during Friday's opening ceremony. This event is chock-full of Greek customs and traditions and offers special talks and performances like the Nea Epohi (New Era) program for college-aged adults, the Thavmatakia (Little Miracles) program for elementary school kids, and the Agape (Love) program for high-school-age children. At the Saint Barbara Greek Festival in July, it's all about the food. Expect to find traditional Greek dishes like gyros, souvlaki, spanakopita, loukaniko, and Mediterranean salads. The Santa Barbara Greek Orthodox Church hosts the free annual event at Oak Park in the Mission Creek area of the city, a popular picnic and recreation spot for locals. During the two-day event, you can also enjoy live music and dance and enter a raffle for two roundtrip tickets from Los Angeles International Airport to Athens, Greece. On Labor Day weekend, the Assumption of the Virgin Mary Greek Orthodox Church of Long Beach hosts its Greek Festival by the Sea. This annual event is a community staple, welcoming over 100,000 attendees each year. Here, you can enjoy Greek beer and wine, a diverse selection of traditional Greek and Greek fusion meals, and a variety of musical performances and dances. The Saints Constantine and Helen Greek Orthodox Church of Cardiff-By-The-Sea hosts the Cardiff Greek Festival in early September every year. Enjoy delicious Greek food and pastries, folk dance performances by award-winning artists, tours of the historical church, cooking and wine demonstrations, and kids games. After the festivities are done, hit the town's beach for a sunset walk or avoid accommodation hassles by camping at San Elijo State Park (just reserve your spot early). Learn about the Greek Orthodox faith while enjoying wine and beer from the taverna, sampling a tasty gyro, and listening to live Greek music. The San Juan Capistrano Greek Festival also comes complete with a traditional Greek "bazaar " for shopaholics and a special play area for kids. The event takes place late September and is hosted by the Saint Basil Greek Orthodox Church. Along with sampling mouth-watering Greek food and listening to live music, you can expect to mingle among local members of the Greek community at the Pasadena Greek Fest in Pasadena, California. 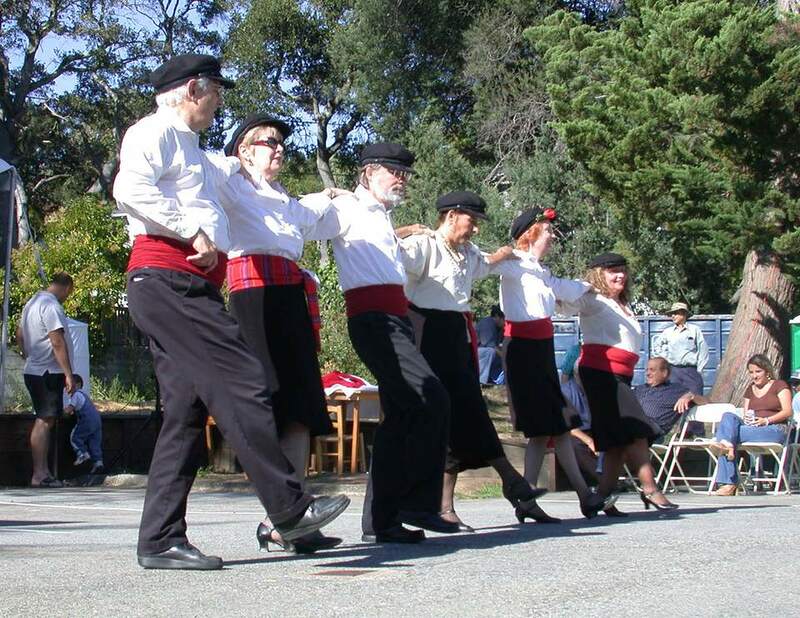 This late September festival also offers arts and crafts and traditional Greek dancing. The Kid's Zone comes complete with rides, bouncy houses, and a rock wall, as well as family-friendly activities and live entertainment. Over in Lancaster, the Saints Constantine and Helen Greek Orthodox Church host the Antelope Valley Greek Festival. Like other Greek festivals, the food takes the center stage with daily demonstrations and special Greek cooking shows. Church tours, dance performances, and technology raffles round out the event for a late September weekend of fun. The Greek Orthodox Metropolis of San Francisco hosts their annual Greek Food Festival every October at the St. George Greek Orthodox Church in Bakersfield. This three-day festival features local and international music groups, church tours, multiple raffles with a $500 cash prize drawing, and a church service on Sunday morning. Greek folk dancers grace the stage and the menu includes falafel, lamb chops, Greek pastries, and gyros, alongside traditional carnival food like hot dogs and barbecue. The L. A. Greek Fest welcomes over 15,000 people each year for a weekend of fun and cultural celebration in October. Along with typical Greek festival performances and food vendors hosted by the Saint Sophia Cathedral at Pico and Normandie, the neighboring Catholic church joins in with Latino musicians on Saturday and Sunday. This unique event delivers both a Greek and Latin music experience with all the Greek delicacies and drinks to go with it. OPA! It's a Greek Festival in Chandler, Arizona!